First up… The winner of THE BLOOD GUARD TRILOGY is Amanda K. Thompson. Amanda is a writer and book reviewer. You can find more on her blog, TO READ OR NOT TO READ? Congratulations, Amanda. Finley Hart has an imagination leading her to secretly write about a mythical kingdom she creates while her own world seems to be crumbling. Her parents, on the verge of separation or divorce, dump Finley off at Grandma’s house for the summer so they can figure out what they want to do. Sounds logical enough except the dad has not talked to his mother in years and Finley has never met her. There are also cousins and aunts she must get to know while there. Her fantasy story in her head is woven into the real one she is experiencing. There’s a mystery of a long ago fire with many clues leading me fairly early to a correct guess as to why it happened. There’s also Grandma who keeps a lot of secrets while putting forth an aura that everything is just fine. The book is a tad long for MG fiction and adults may enjoy this more than children. Thank goodness for the secondary kid characters. They help make the story one you want to finish. Excuse me while I find a few silly, humorous books to help me return to the fun side of MG. Appearances and whispers about the past can lead you to wrong conclusions about others. A great lesson as the three Bailey boys don’t look like anyone you’d want to get to know. Keeping on that tangent–Jack Bailey is a pure delight. He gives Finley confidence and heart. It’s a boy you’d want in your own neighborhood. Despite her unusual way of dealing with everything, Grandma reminded me of my own grandmother–hiding personal struggles to keep the family happy. You can understand the reasoning of Grandma Hart after reading this story. If you are dealing with anxiety, depression, and anxiety attacks then this is the book to show how others deal with the same issues. The real forest was an interesting and fun escape for all the kids. It was their Everwood from Finley’s stories. Claire Legrand used to be a musician until she realized she couldn’t stop thinking about the stories in her head. Now she is a writer and former librarian living in central New Jersey (although her heart will always live in her home state of Texas). 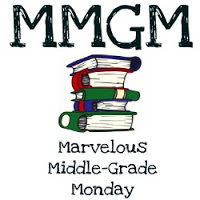 This entry was posted in Reviews and tagged Claire Legrand, female protagonists, Marvelous Middle Grade Monday, MG book reviews, Middle grade, Some Kind Of Happiness. Bookmark the permalink. I think some kids will easily relate to this book, but it’s probably not for everyone. I liked it! Well, you started my day with a big laugh. “I keep expecting every 11 or 12 year old girl I pass to break into tears.” Thanks for that. I really would like to read this book. I hope I can find time. I’m putting it on my TBR list, my staggering TBR list. Thanks for the post and the laugh. I love this book. Thanks for spreading the word! I wrote about this book as part of my MMGM post today. I agree it doesn’t have broad kid appeal, but I absolutely loved it. Grabenstein’s Wonderland Motel series. Grab them now. They are making me very happy. This one was incredibly bleak! We’ve got to stop having so many people die in MG fiction. ARgh.